Enterprise Singapore, formerly International Enterprise Singapore and SPRING Singapore, is the government agency championing enterprise development. Its mission is to grow stronger Singapore enterprises, to drive and sustain Singapore’s economy, and to provide good jobs for Singaporeans. To this end, Enterprise Singapore works with committed companies to develop their capabilities, innovate and transform so that they can expand globally to seize business opportunities. Enterprise Singapore believes in grooming “Global Executives” who are bold, enterprising and collaborative through its global network and myriad of career opportunities. She believes that to succeed in her role, she must go beyond just textbook knowledge – developing an open and global mindset is also essential. Personally, Qiuhan credits her scholarship for providing her with opportunities to broaden her mindset. The scholarship enabled her to study in London and California, giving her numerous opportunities to understand different cultural and business norms while developing networks in the international community. “I gained insights into what makes Singapore attractive to foreign companies and deepened my understanding of the differences between the East and West. All these enabled me to pitch Singapore’s advantages effectively and transform local companies such that they are desirable in the global market,” Qiuhan details. No matter what the company requires, Qiuhan notes that it is essential that she and her team remain updated and informed about market trends to provide the latest market intelligence, especially on policies and political sensitivity in order to best support local companies. 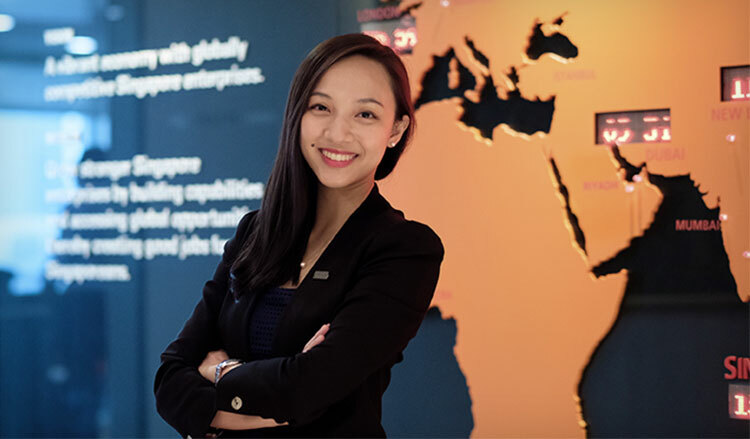 The most exciting and rewarding part of her job, Qiuhan shares, is the opportunity to meet and interact with decision makers of local and foreign companies, as well as high-level government officials from Singapore and other countries, where she gets to learn from the brightest and boldest. This, she believes, is something that fresh graduates rarely encounter in the private sector. JTC is the place for individuals who are innovative, forward-thinking and passionate about playing a key part in supporting and catalysing the growth of industries and enterprises in Singapore.